Our HIPAA Masters© course is our highest level of training and our most comprehensive HIPAA course. Distinguish yourself from your peers, satisfy HIPAA's compliance requirements, and prepare yourself to manage HIPAA successfully with HIPAA Masters© online training. Totally updated and fully revised with the HIPAA Final Rule changes, this course emphasizes practical, working knowledge to assure compliance and help you avoid costly violations. Are You a HIPAA Master? If you are responsible for HIPAA in your organization, join the elite few who have taken and mastered the material in this course. Become the HIPAA expert in your group, practice, or company. Become a HIPAA Master. HIPAA Masters© online training empowers your leaders with knowledge. Compliance Officers should take this course because they are expected to be the primary HIPAA-HITECH knowledge resource in regulated entities. I.T. professionals should take this course because nearly every aspect of HIPAA and HITECH compliance requires I.T. support - from basic compliance, to breach management and notification, to medical and compliance-records management. HIPAA Masters know what HIPAA requires; and they understand what to do to avoid violations and maintain compliance over the long-term. Wondering what to do about Breach Notification? It's all in the HIPAA Masters© course. Do you know how to handle a HIPAA audit or investigation when your reputation and assets are on the line? Become a HIPAA Master and find out. Do you know HIPAA's limits on marketing? The HIPAA Masters© online training gives you the HIPAA facts you need - and so much more. Our HIPAA experts helped launch HIPAA years ago, and we've been inside HIPAA ever since. We've distilled years of insider advice and insights into the HIPAA Masters© course so you can benefit from our hands-on experience. There's nothing else like the HIPAA Masters© course anywhere. Put it to work for you today. 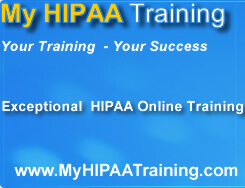 The HIPAA Masters© online program is brought to you by The HIPAA Group, Inc., a national leader in HIPAA compliance. HIPAA Group has trained thousands of people including physicians, nurses, medical staff, Privacy Officers, Security Officers, managers, CEO’s, attorneys, and Business Associates. We've testified in court as HIPAA experts, and assisted attorneys for plaintiff and defense in HIPAA legal cases in multiple states. Healthcare corporations of all sizes - from startups to multinationals - depend our our HIPAA experience and expertise. You should too. Become a HIPAA Master.